Two-thirds refers to the amount of land Hungary lost in the Treaty of Trianon after World War I, a topic that still weighs on the national consciousness. Another poster also referred to the size of lost empires here. 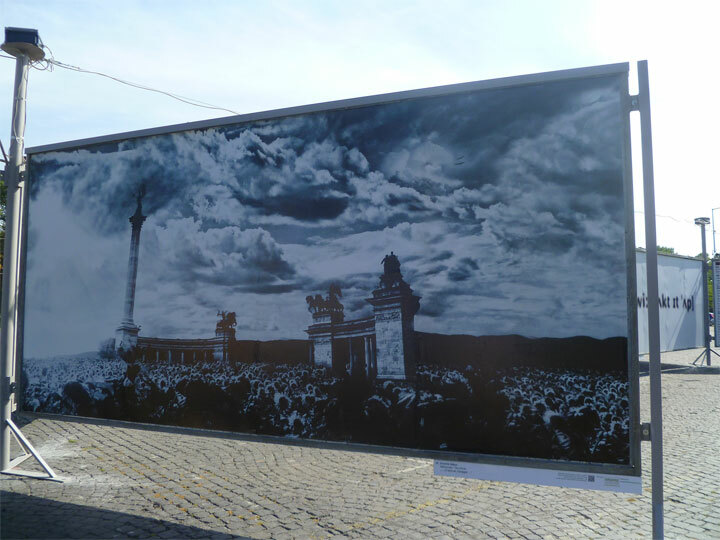 This entry was posted on October 19, 2012 by linnea8 in Other and tagged ARC Poster Exhibition, billboard, Greater Hungary, Hungarian history, public art, Trianon, two-thirds.